The auction for this has ended, but it appears to have failed to sell which is somewhat amazing, even at the asking price of $159.99. 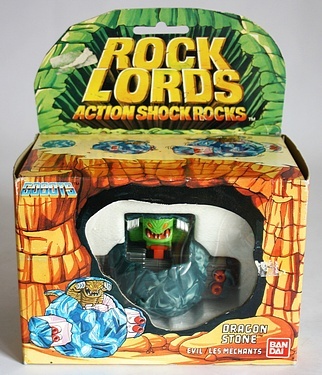 I've certainly never seen a boxed example of the Bandai version of Dragon Stone from the Rock Lords line, and it is quite beautiful. Click through the image below for more details about this auction gone by, and join me in hoping that the seller takes another shot at selling this rare figure!